Garleton Lodge’s hilltop position offers a spectacular 360 degree panoramic view over East Lothian towards Fife and Edinburgh, with a choice of six rooms (all en-suite) all provided with full facilities as well as a residents’ lounge with fully stocked bar, restaurant, BBQ hut and hot tub as well as golf facilities including practice putting green and bunker, club storage and drying room. 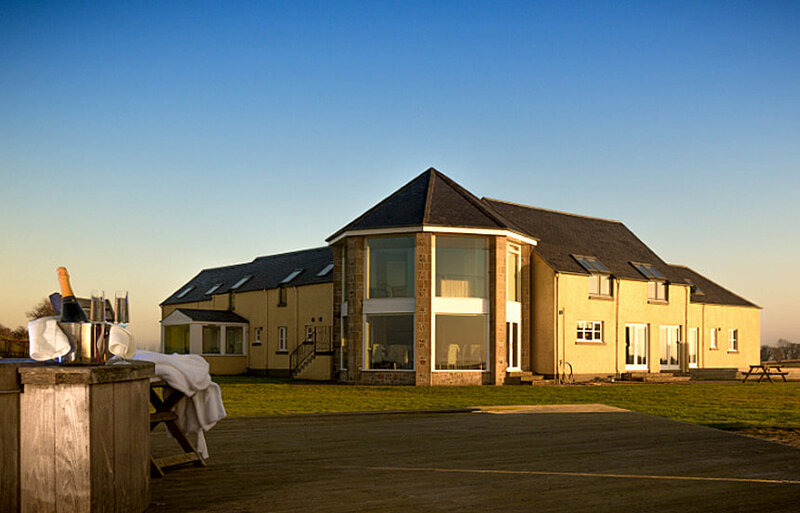 Garleton Lodge is approximately 11 minutes by coach from Longniddry Golf Club and is perfectly situated as a base should you wish to play at Gullane Golf Club or Muirfield during your stay. To review the accommodation on offer please click here.